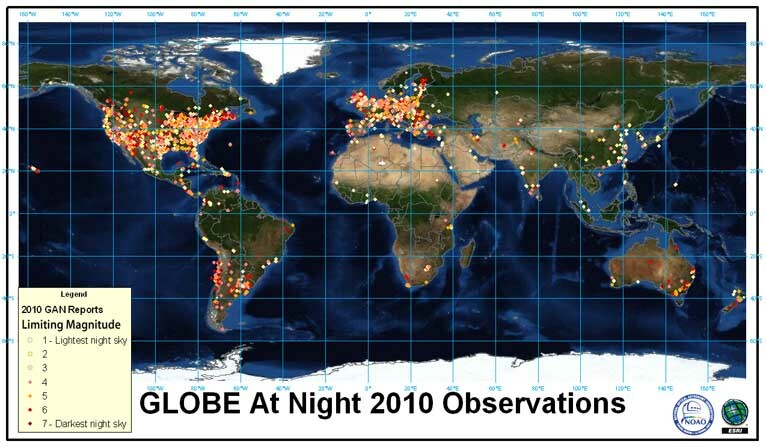 Globe at Night has been collecting data about the night sky since 2006. All of that data is available to download in a variety of formats, and also can be explored in our interactive map. Links to previous years’ data is available below. We are just getting started with this year’s campaign, but you can explore the data from 2019 as it comes in. 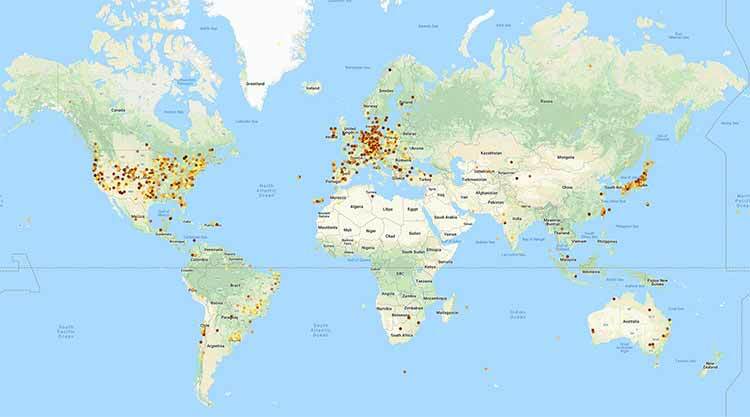 The GaN-MN project, an extension of the original Globe at Night project, is a global night sky brightness monitoring network using a commercially available meter (SQM-LE by Unihedron) for long-term monitoring of the light pollution conditions in different places around the world. NOTE: The 2018 data has not yet been vetted, and is presented here as raw data. 2018 Observations. 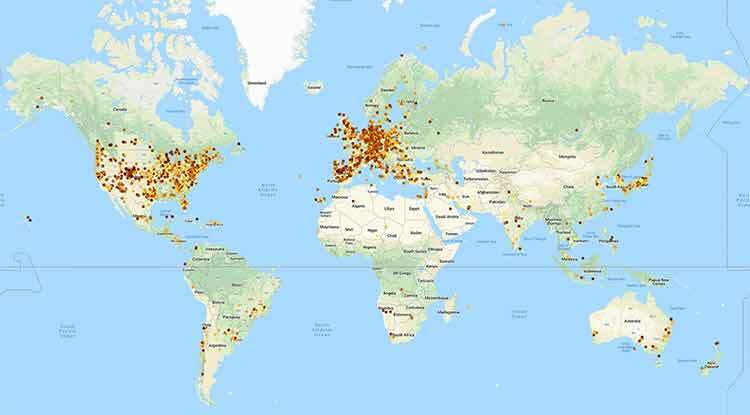 To explore the 2018 data in more detail, click the map below to launch the Map Viewer. NOTE: The 2017 data has not yet been vetted, and is presented here as raw data. 2017 Observations. To explore the 2017 data in more detail, click the map below to launch the Map Viewer. NOTE: The 2016 data has not yet been vetted, and is presented here as raw data. 2016 Observations. To explore the 2016 data in more detail, click the map below to launch the Map Viewer. NOTE: The 2015 data has not yet been vetted, and is presented here as raw data. 2015 Observations. To explore the 2015 data in more detail, click the map below to launch the Map Viewer. NOTE: The 2014 data has not yet been vetted, and is presented here as raw data. 2014 Observations. To explore the 2014 data in more detail, click the map below to launch the Map Viewer. 2013 Observations. 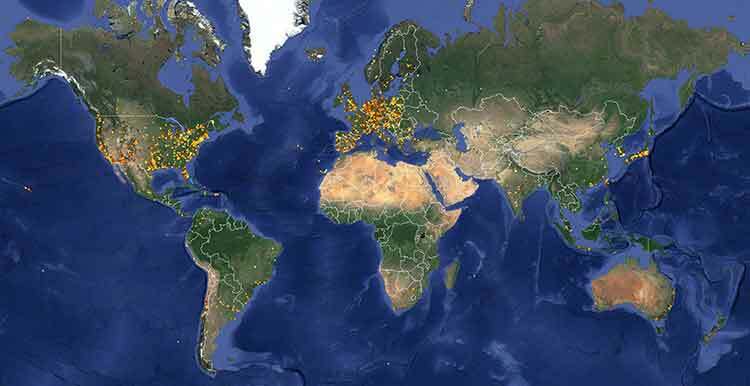 To explore the 2013 data in more detail, click the map below to launch the Map Viewer. 2012 Observations. To explore the 2012 data in more detail, click the map below to launch the Map Viewer. 2011 Observations. 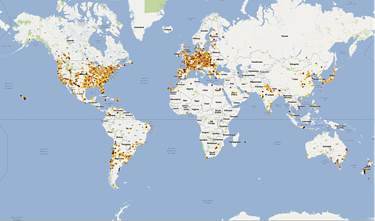 To explore the 2011 data in more detail, click the map below to launch the Map Viewer. 2010 Observations. To explore the 2010 data in more detail, click the map below to launch the Map Viewer. To explore the 2009 data in more detail, click the map below to launch the Map Viewer. To explore the 2008 data in more detail, click the map below to launch the Map Viewer. What do the 2007 GLOBE at Night data tell us? To explore the 2007 data in more detail, click the map below to launch the Map Viewer. 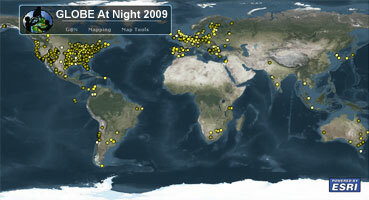 What do the 2006 GLOBE at Night data tell us? 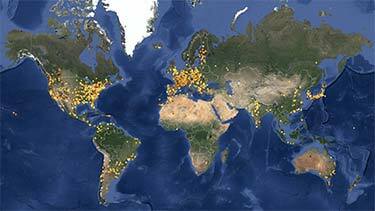 To explore the 2006 data in more detail, click the map below to launch the Map Viewer. ** Files generated by Dennis L. Ward, © Copyright 2007 University Corporation for Atmospheric Research.